NOTE: This bike will ship with DT Swiss aluminum XM 1501 wheels. Not the optional carbon XMC 1200 wheel upgrade pictured above. 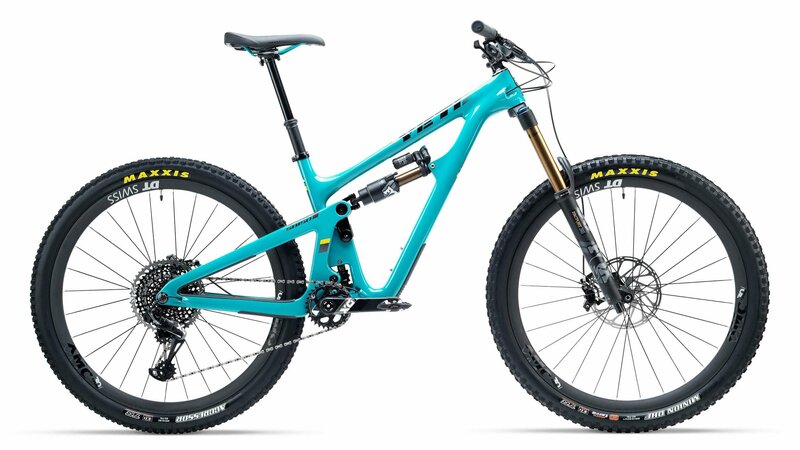 Let me introduce you to the all-new 2019 Yeti SB150, the Colorado company’s first true long travel 29er. Yeti claims that as soon as you throw a leg over the SB150, you will notice that it rides very similar to nothing. It rides bigger, climbs better, and is an all-around shredding machine. Looking for a 29” race bike? The SB150 thrives on racing. Born from the grueling downhill tracks of EWS racing, Yeti wanted to create a bike that could handle the toughest trails but could still pedal you to the top with ease. The SB150 is efficient whether you are pushing up a climb or sprinting down a descent. Some will say the SB150 is too slack, too low, too different, and that’s fine. The bike isn’t for everyone. The SB150 is for racers and weekend warriors alike who want to push the envelope of what is capable on an aggressive 29er. For this bike to reach its potential, it must be pushed. If you like pushing bikes to their absolute limit, you will fall in love with the SB150. With 150mm of rear travel provided by Yeti’s Switch Infinity suspension platform and a 170mm fork, attack every trail with more confidence than you ever thought possible. The SB150 TURQ X01 Race comes with a pro-level build kit that is ready to shred. The Fox Factory 36 fork and Float X2 rear shock will smooth out the rough terrain in front of you, the SRAM X01 Eagle drivetrain with an ultra-wide 12-speed range will assist you up the steepest climbs and accelerate you down the fasted descents, and SRAM Code RSC brakes provide incredible consistent stopping power when it comes time to slow down. 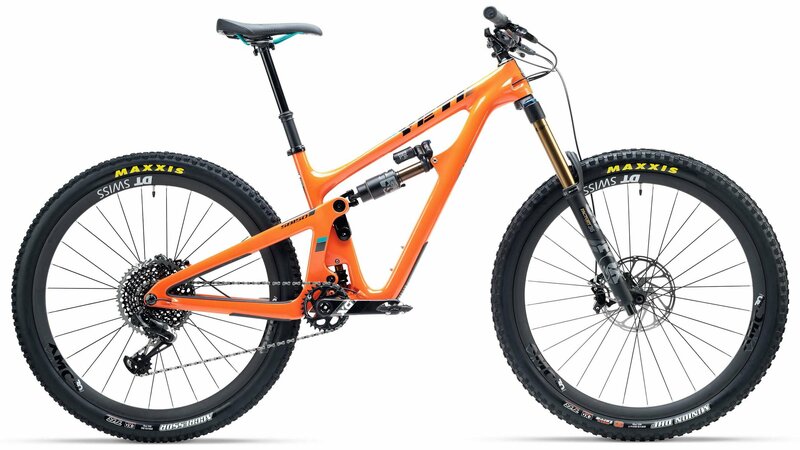 If you are in the market for a new bike that thrives on the downhill but can also handle every climb with ease, the Yeti SB150 should be your next bike. Born to meet the demands of rigorous EWS racing, the SB150 can handle any trail out there. Get yourself a bike with no limits. Get yourself a SB150. SB150 Turq Carbon Frame is stiff, durable and responsive. Awesome bike. Great Enduro rig. Stable and can take the big hits with confidence. That is what the bike is built for and it does the job. Good peddling but don't expect to get a PR going up hill.